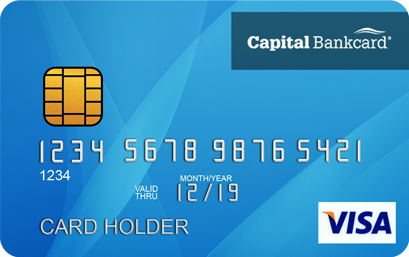 Capital Bankcard has become one of the most respected organizations in the merchant services industry. It was founded in 1998 on the principle that businesses should receive superior credit card processing and customer care services. Over 80,000 merchants later, we continue to offer quality customer service, along with customized and innovative solutions so businesses can thrive and remain successful. If you are conducting business face to face, accepting credit cards is a necessity. Whether you have a store, restaurant or kiosk, Capital Bankcard can help your business set up a merchant account so you can accept credit cards for less money than you ever thought possible. If you have an Internet store or own a retail website, you need online credit card processing. With the help of an online merchant account and credit card payment gateway, you can give your customers the option to purchase goods with the click of the mouse, at any time, day or night. If you run a mail order business and / or take credit card payments over the telephone, you are participating in, what we call “MOTO Credit Card Processing”. (MOTO = Mail Order Telephone Order). Essentially, this means that you collect credit cards in an environment where the customer and credit card are not physically present at the time of purchase. Attract new business, enhance customer relationships and increase revenues. Add value to your business with a customer-centric gift and loyalty program from Capital Bankcard. Are you interesting in accepting checks, but without assuming the inherent risks? Capital Bankcard offers the ability to set-up a check processing account, allowing merchants to authorize a check within seconds, and without any specialized equipment. Another benefit of our check processing service is that it allows you to accept checks without having to purchase any specialized equipment. You run the check verification directly through your credit card terminal, over the phone or through the Internet.